It's a Bird, It's a Plan, It's Superchicken! Chickens on Cooks Venture’s 800-acre farm in Decatur (Benton County). 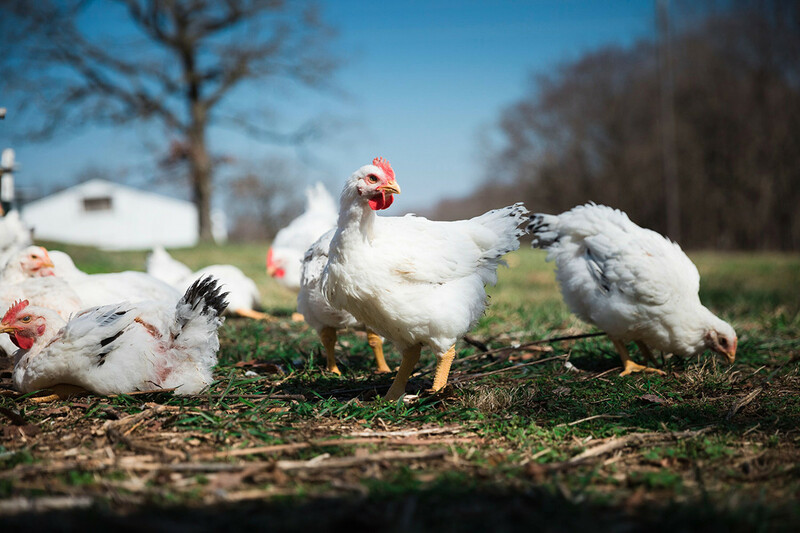 The company, led by Blue Apron co-founder and chef Matthew Wadiak, expects to have their heirloom pasture-raised chicken available direct to consumers and on store shelves starting in July. Matthew Wadiak, co-founder of the meal service Blue Apron, is thinking outside the box — and outside the cage. After leaving Blue Apron, which delivers packaged recipe ingredients for meals to be cooked at home, Wadiak resolved to create an earth-friendlier food industry, one superchicken at a time. His new company, Cooks Venture, bought an 800-acre farm in Decatur (Benton County). 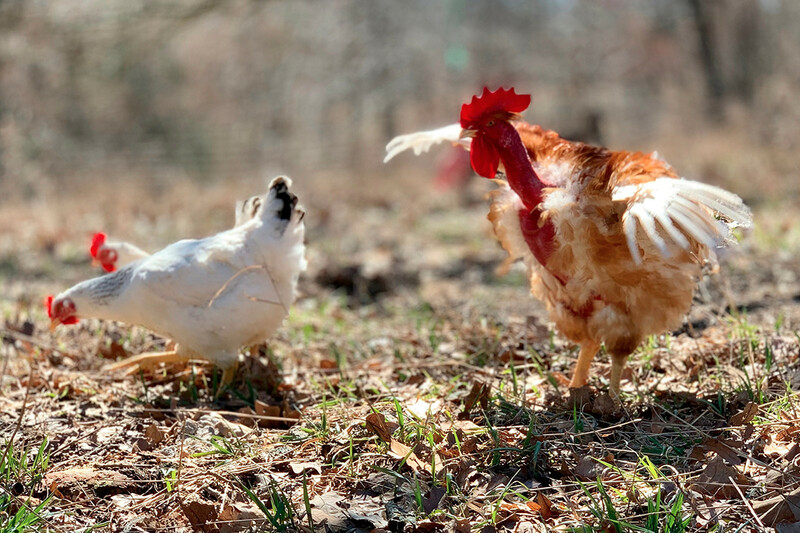 The site, Crystal Lake Farms, is producing slow-raised chickens with full access to the property’s pastures and woods. In announcing Cooks Venture last month, Wadiak said it had also secured two large processing plants in Oklahoma and was beginning presales of its heirloom birds online. The meat is expected to be available in some supermarkets by July. 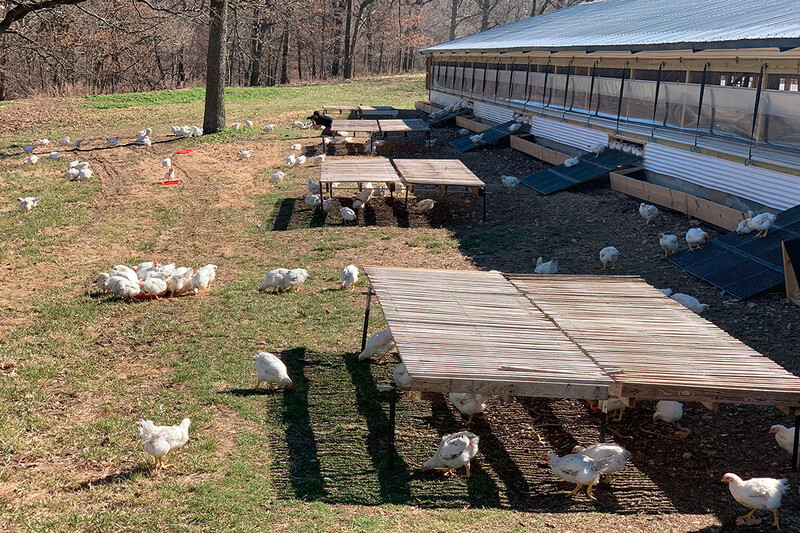 The farm, led by Executive Vice President and University of Arkansas graduate Blake Evans, includes a hatchery, barns and pedigreed birds. Wadiak called it the country’s only biodiverse and vertically integrated poultry operation, built over 10 years by Evans and Richard Udale, the company’s director of genetics. Evans’ grandfather was Lloyd Peterson, the chicken-breeding pioneer who developed the Peterson Male. Most of the family’s poultry business, Peterson Farms, was sold to Simmons Foods Inc. of Siloam Springs in 2008. Crystal Lake will be the first link in what Wadiak conceives as a superior food chain focusing first on pasture-raised chicken, then eventually on beef, pork, grain and vegetables. Chicken, a $48 billion-a-year industry in the United States, was the natural place to start, he said. The overall goal is simple but grand. At Blue Apron, Wadiak dealt with more than 250 farmers, ranchers and agronomists, and those relationships convinced him that he could practice regenerative agriculture and give customers better food while making a profit. His birds have a far different existence from the chickens now filling most supermarket poultry cases, birds grown in such cramped conditions that their legs can’t support the massive breasts genetically engineered to feed Americans’ appetite for cheap white-meat chicken. A former line cook and chef who also worked on farms in his 20s, Wadiak has support from the American Society for the Prevention of Cruelty to Animals, often a critic of poultry industry practices. Cooks Venture’s first principle is to try to cultivate soil capable of capturing and storing 1% more of the carbon now floating in the Earth’s atmosphere. The process, known as soil carbon sequestration, could be crucial to reversing climate change. “We’re really passionate about that,” Wadiak said, but environmental concerns go hand-in-hand with putting better chicken on the plate. Presale prices for Cooks Venture poultry will be higher than most supermarket brands’, but comparable to prices for higher-quality chickens, Wadiak said. Presale prices start at two 3- to 4-pound birds for $40, four for $70 and six for $90, delivered frozen and prepackaged in recyclable containers. Shipping will be free nationwide. So he brought aboard Evans and Richard Udale, an expert in slow-growth breeding and the startup’s director of genetics. Mark Fisher, vice president of operations, has 26 years of poultry experience and will run the facility in Decatur and the two plants in Oklahoma, which are capable of processing 700,000 chickens a week. Udale and Evans worked together to develop heirloom birds at Crystal Lake Farms for a decade, Wadiak said. 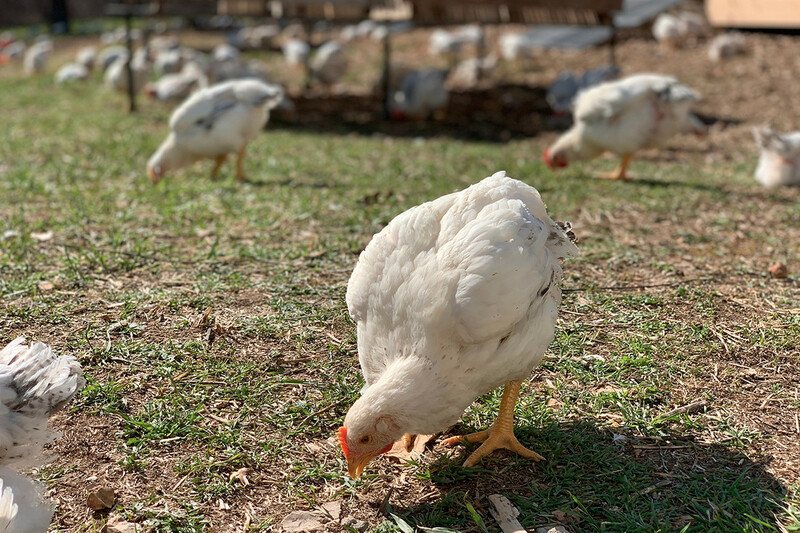 Cooks Venture’s online store will offer food from other regenerative agriculture sources, and the company will buy chicken feed only from farmers also committed to carbon sequestration. “Cooks Venture’s team will measure their farms and partners for soil health and sequestration of carbon, and publish the results annually,” according to the company’s website, CooksVenture.com. Matthew Wadiak, Blue Apron, Cooks Venture, Crystal Lake Farms, Blake Evans, Richard Udale, American Society for the Prevention of Cruelty to Animals (ASPCA), Simmons Foods Inc.